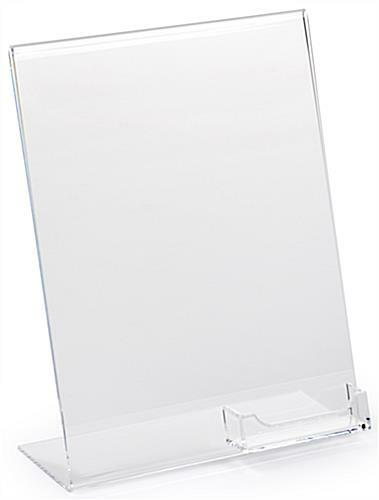 Business Card Display with Acrylic Sign Holder - Best Seller! 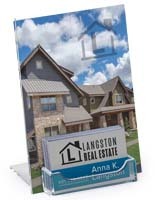 This angled sign holder is 8.5" wide x 11" high and 4" deep overall. 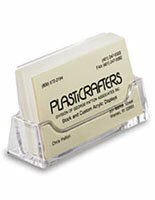 Just slide paper in the back or sides of the business card display for fast changes. 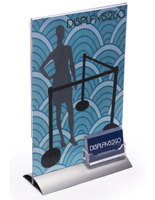 This business card display includes a standard business card pocket that is 3/4" deep. 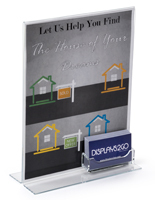 Great as a tabletop display! 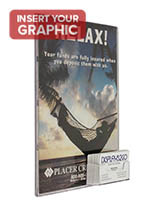 This business card display allows you to use a printed graphic that is 8.5" wide by 11" high. 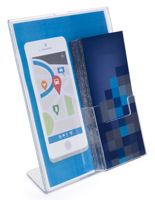 I've ordered a few of these for our branches across the US, always great service and it ships pretty quickly. We're very satisfied with this product. Thank you so much for the excellent review, Laura! 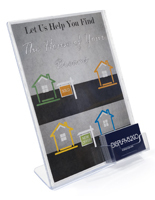 We're proud of our in-house manufactured Workshop Series of products, and we're so happy that this acrylic sign frame proved to be a great solution for you. 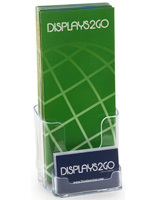 We appreciate your business, and we hope you'll continue to turn to Displays2go for your display needs. We're so glad the product works well for you, Becky! Thanks for shopping with us! Son's first job and I thought it would be a nice touch to his desk and a way to start conversation. Just needs his business cards printed and placed in the corner. (Used a small poster sized photo layout from Walgreens to fill it.) Bought others to give my coworkers as we just changed company names and will all be getting new business cards printed...Im going to fill each "sign" with a joke (like Director of Mischief) and they can add their own photos later. Inexpensive gift idea! 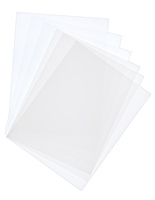 Nice product; best price; arrived faster than promised. That's fantastic, Patricia! We're so glad you're satisfied with your experience with us. We hope you shop with us again soon! Two thumbs up. 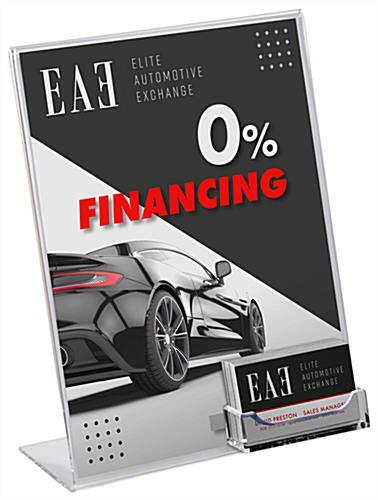 Reliable and fast to ship. Will order more soon. Thank you Marlene, and thank you in advance for your repeat business!